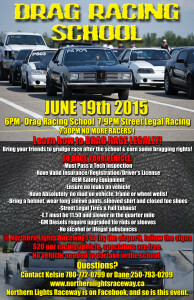 Learn how to drag race legally! Bring your friends to grudge race after the school! Earn some bragging rights! 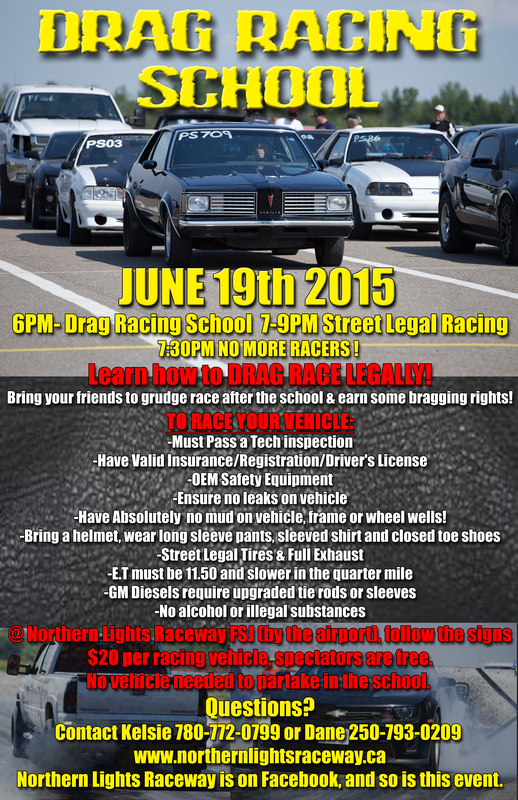 $20 per racing vehicle, spectators are free. You do not need a vehicle to partake in the school. -Have Absolutely no mud on vehicle, frame or wheel wells! Questions? Contact Kelsie (780-772-0799) or Dane Lucas 250-793-0209 . Posted in Track Event. Tagged drag school, street drags.